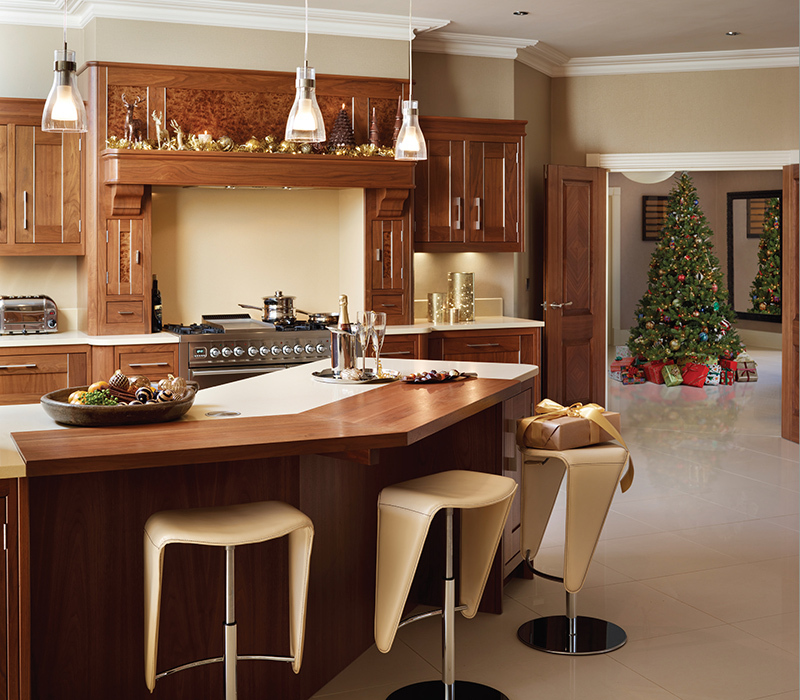 We know that your utility room is never going to be the most glamorous or opulent space in your home. 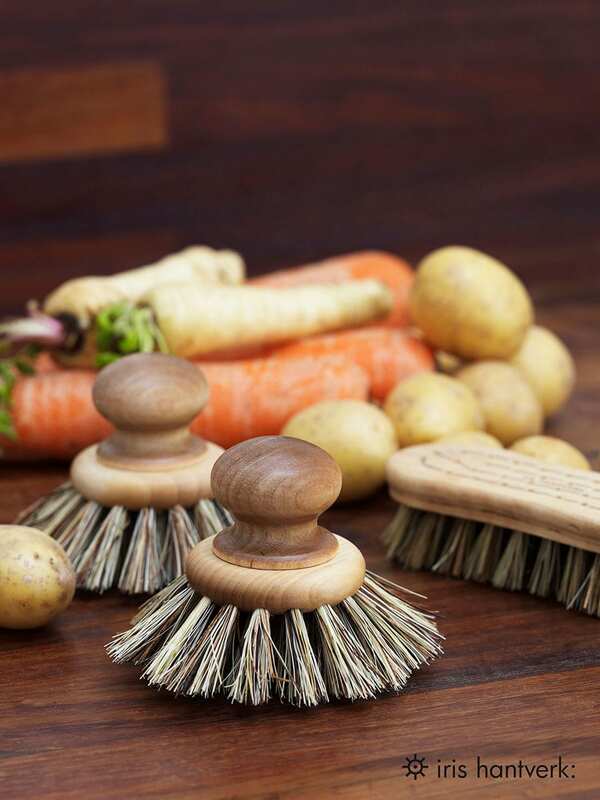 It’s the workhorse of a family house and often a dumping ground for everything from vacuum cleaners and dirty washing to football boots and rain macs. But we don’t think this should mean it’s overlooked when it comes to design. A well-planned utility or laundry room is not only hugely practical, but also beautiful. So, whether you have a generously sized laundry room, or a modest utility cupboard located in the kitchen, we wanted to share some of our favourite utility room ideas with you. If a designated laundry room is more of a dream than a reality for you, don’t panic. 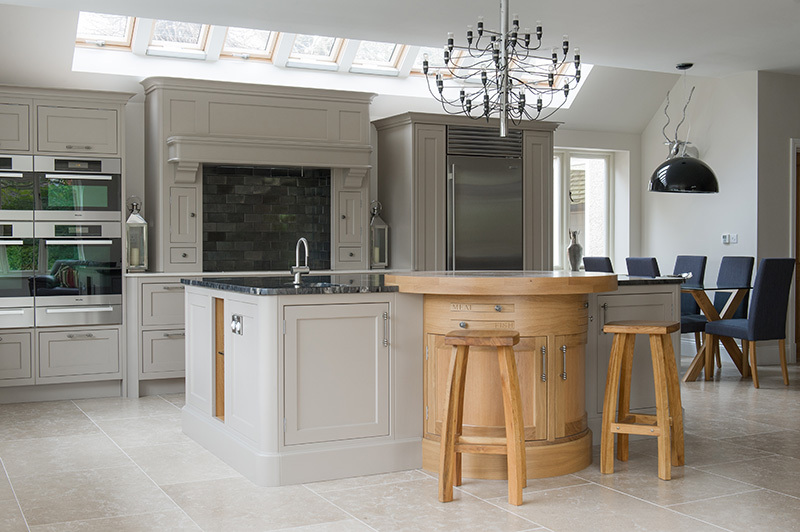 This Holkham inspired kitchen utilises a bank of tall cupboards to hide away the ugly but necessary utility appliances. By stacking the washing machine and tumble dryer, space is fully optimised which allows for the cupboards either side to be used independently. The cupboard to the left is used to store cleaning products and the one on the right is used to hang clean laundry prior to ironing. Plus, all this is neatly positioned along one wall in the kitchen to really make the most of the space. If you’re building a new house or re-configuring the layout of your home you’ll have the luxury of choosing where to position your utility room. 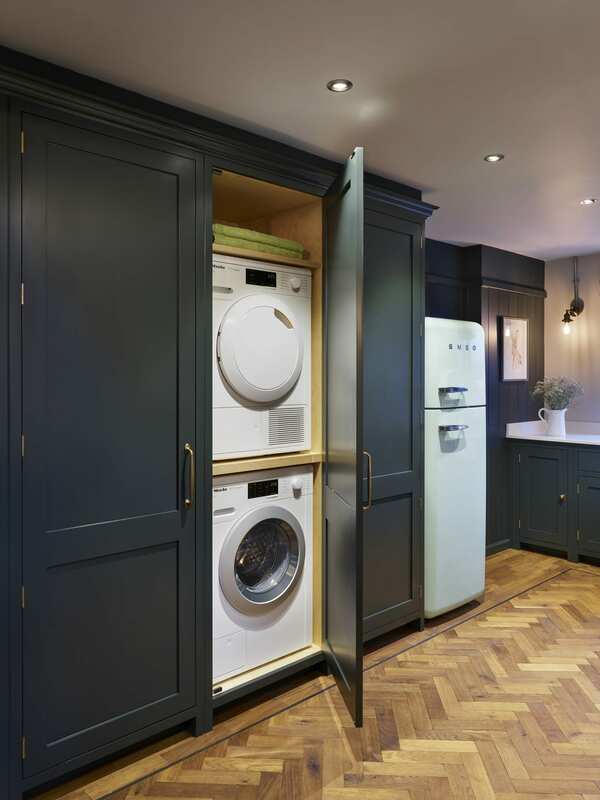 By locating your laundry room alongside the kitchen but with independent access to outdoors you’ll create a buffer between the chaos of outside and the tranquillity of inside (or at least that’s the theory). Plus, with direct access outside it makes the dirty jobs like cleaning football boots and pruning flowers from the garden easier and more straightforward. A simple utility room design is often a beautiful one. This utility room is part of our Hove Townhouse project and is such a great example of the beauty of pared back design. 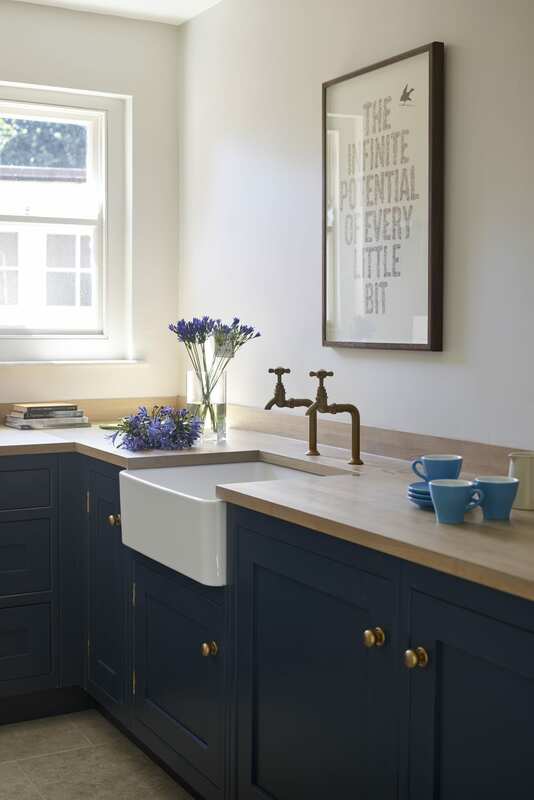 Timber worktops, brass taps and handles and a classic butler sink make a timeless combination which really compliments the kitchen in this fabulous family home. Out of shot are the washing machine and tumble dryer. By keeping the design simple and understated this utility room is highly functional yet compact, great for maximising space in urban properties. If space allows, a utility room designed for the whole family is a fantastic use of square footage. 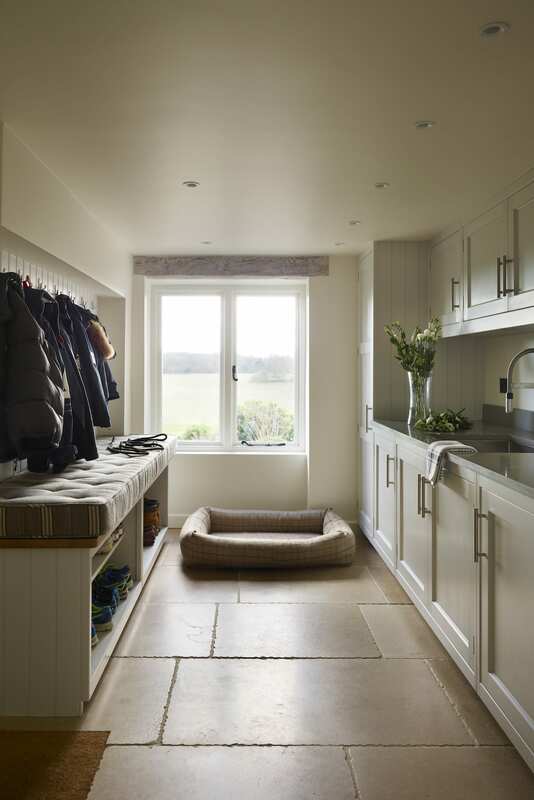 This utility room is part of our Converted Barn project and was designed for parents, children and dogs alike! To the right and just out of shot is the washing machine and tumble dryer. The cabinet run that follows features a large sink (big enough to rinse dirty paws) as well as plenty of storage for all the cleaning essentials. On the opposite side of the room is a bench seat with built in storage below and hooks above. Each member of the family has their own spot on the bench, with trainers, wellies and boots below and coats, scarves and dog leads hanging on the hooks above. This utility cupboard is a lesson in space saving – in fact this whole kitchen is! The property is a converted stable so space is at a premium. With no chance of designing a laundry room into the property, our clients instead opted for a super functional bespoke utility cupboard. The brief for this cupboard was that it had to hide the boiler, store the vacuum cleaner and have enough shelving for other cleaning products. As you can see this was fully achieved. Plus, there was even room to include a wine rack between the cupboard and the Sub-Zero fridge. 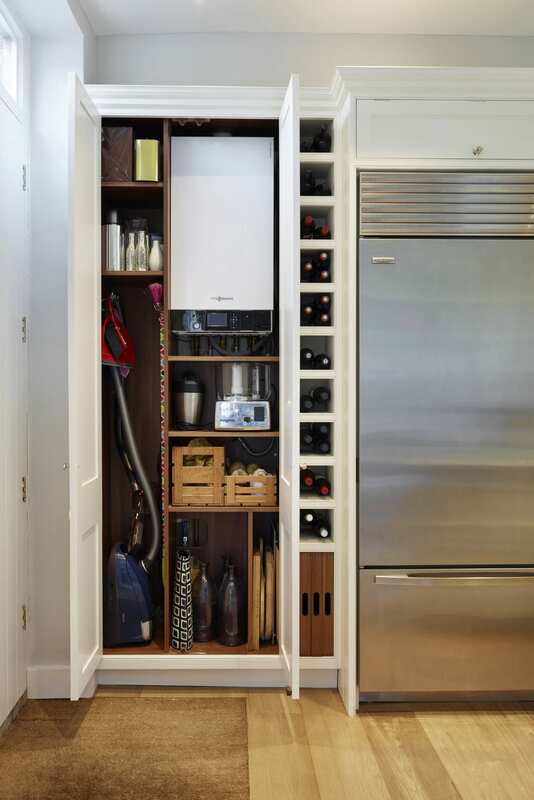 This really is the ultimate example of space saving utility room ideas.